For a feverish 30 minutes or so on Wednesday, the House of Commons tied itself in rhetorical knots over the significance of a summer job. Not just any summer job, mind, but one that was either a threat to the national interest or an exemplar of free speech. For a feverish 30 minutes or so on Wednesday afternoon, the House of Commons was tying itself in rhetorical knots over the significance of a summer job. Within the overheated confines of the House of Commons, a year out from a federal election, a federal grant becomes much more than a bit of money to give a student something to do. Wednesday afternoon's fun began, mysteriously enough, with the leader of Her Majesty's Opposition asking the prime minister to confirm his commitment to getting the Trans Mountain pipeline built. Andrew Scheer was obviously setting the stage for something. With his third question, he made his dramatic reveal. "Mr. Speaker, if the prime minister claims to be trying to build public support for this pipeline, perhaps he can explain to the House why his government gave a grant to an environmental lobby group that specifically used those funds to hire an activist to protest against the Trans Mountain pipeline." The group in question is the Dogwood Initiative, which, as CBC News first reported, is looking to hire an assistant organizer with federal money. The opposition — no doubt believing they'd cornered the PM — stood to applaud. And Conservatives were all the more delighted as Justin Trudeau tried to explain. "Mr. Speaker, unlike apparently the leader of the Official Opposition, we believe in free speech," Trudeau said. "We believe in advocacy on this side of the House." The Conservatives howled at what they believed to be the irony: Trudeau, whose government moved to prevent summer job grants from going to groups that advocate against abortion or gay rights, was invoking free speech to defend a job grant. But then Trudeau made his own dramatic reveal. "On the issue of this particular advocacy group," Trudeau said, "it is important to highlight that it was also funded under the Harper government." "Ohhh!" cried the Liberals, delighted at the thought that they'd caught the Conservatives in their own trap. According to the office of Labour Minister Patty Hajdu, Dogwood received $62,500 in federal funds for summer jobs between 2013 and 2015. Another $27,389 has been provided to the group since the Liberals came to power. Undaunted, Scheer repeated his objection. And once more, the prime minister seemed to slip. "We will not remove funding from advocacy organizations because we as a government happen to disagree with them," Trudeau said. "Mr. Speaker, what the prime minister just said will come as a great surprise to the member for Bonavista—Gander—Grand Falls—Windsor," a smiling and dimpled Scheer shot back, referring to Liberal MP Scott Simms, who lost his committee assignment after voting against the government's position on summer jobs grants. "There is nobody who believes that the prime minister is committed to free speech when he punishes all those in this country who do not agree with his personal point of view." But now the debate was spinning away from Scheer. "However, what we are talking about here is not the principle of free speech," Scheer continued, trying to regain control. "We are talking about taking tax dollars from people who are out of work in the energy sector and giving it to people who are trying to block a project in the national interest. That is shameful and Conservatives will stop that." At this point, the whole exchange was getting unwieldy. If, for instance, it's wrong for the Liberals to restrict grants on account of women's reproductive rights, wouldn't it also be wrong to restrict funding on account of the national interest? Would a Conservative government merely replace the Liberal government's restriction with its own? How widely would the "national interest" be interpreted in that case? The prime minister charged past such questions to press his preferred point. "Once again, we see the true colours of these Harper Conservatives shining through. 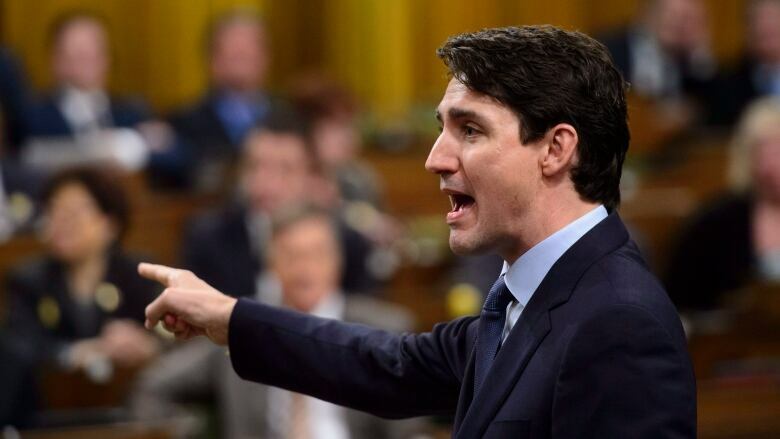 The commitment that this government has made to stand up and defend reproductive rights and the rights of women at every single opportunity is one that sticks in their craw," Trudeau declared, jabbing his finger, scrunching up his brow and raising his voice. "We will not apologize for ensuring that women's rights are protected across this country." The Liberals stood to applaud. So maybe this debate didn't go all that well for either side. But both sides walked away with something to tweet about. Of course, if this was strictly about defending a woman's rights against those who would use federal funds to actively campaign against abortion, it's unlikely so many organizations would have objected to the government's new application forms. Instead, it remains to be debated whether the government's edict was poorly worded. The Conservatives pressed on for another 10 questions. Trudeau leaned heavily on the Charter of Rights and Freedoms as a higher standard. 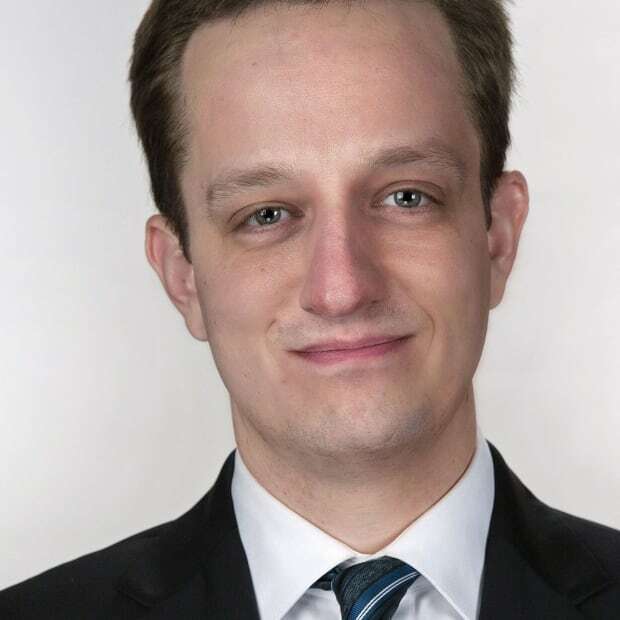 Conservative MP Shannon Stubbs tried to bring the discussion back to the government's support for resource development, but then Conservative Pierre Poilievre stood and bemoaned the plight of a charity in his riding that hadn't received funding. Eventually, the House moved on. Unless the student that Dogwood hires turns out to be a superb organizer who proves pivotal in rallying decisive opposition against the Trans Mountain pipeline, the job grant will be a footnote in the history of this debate. But for however long the pipeline's fate remains in doubt, that summer student will be held up by some as a symbol ... of something.